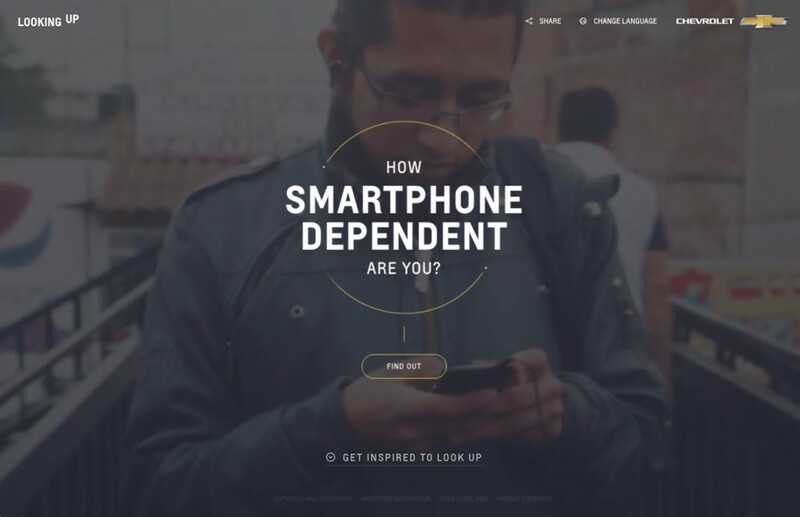 Chevy posed the question to consumers: what would happen if you put down your phone and looked up? Could you do it? Would you feel like something was missing? In an age where we’re so reliant on technology, our mobile phones have almost become another limb. 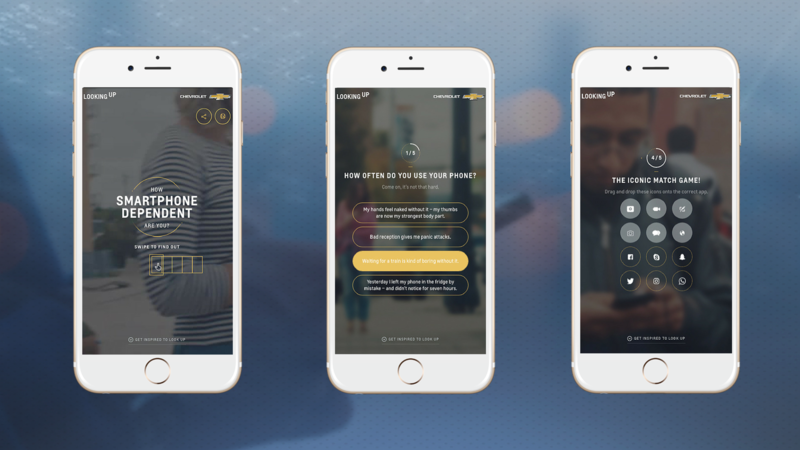 Chevy, Looking Up invites users to answer a series of questions to see just how tech-attached they really are, including multiple choice and an app icon matching game. At the end of the quiz, test takers get categorized as The Uncorrupted or The Obsessive, receiving either a warning or praise of how connected they really are. 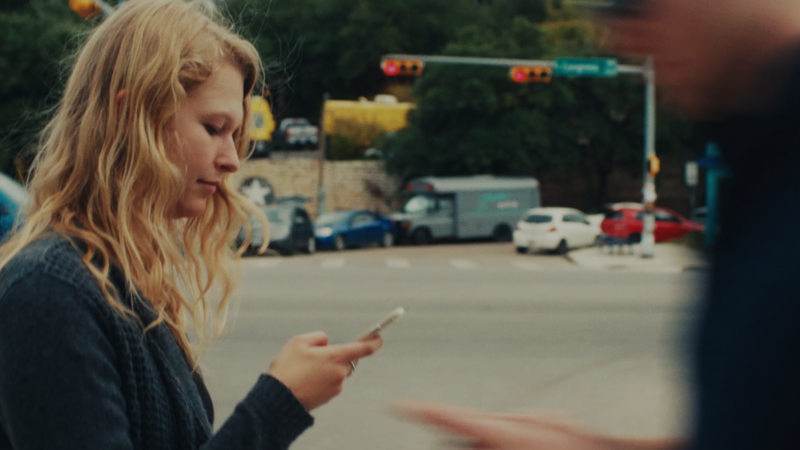 After opening their eyes to their technology obsession (or lack thereof), users can then watch a series of provocative short films featuring people who gave up their phone for a day. It’s truly incredible what happens when they give their full attention to their families, live every minute uninterrupted and take the time to look up.